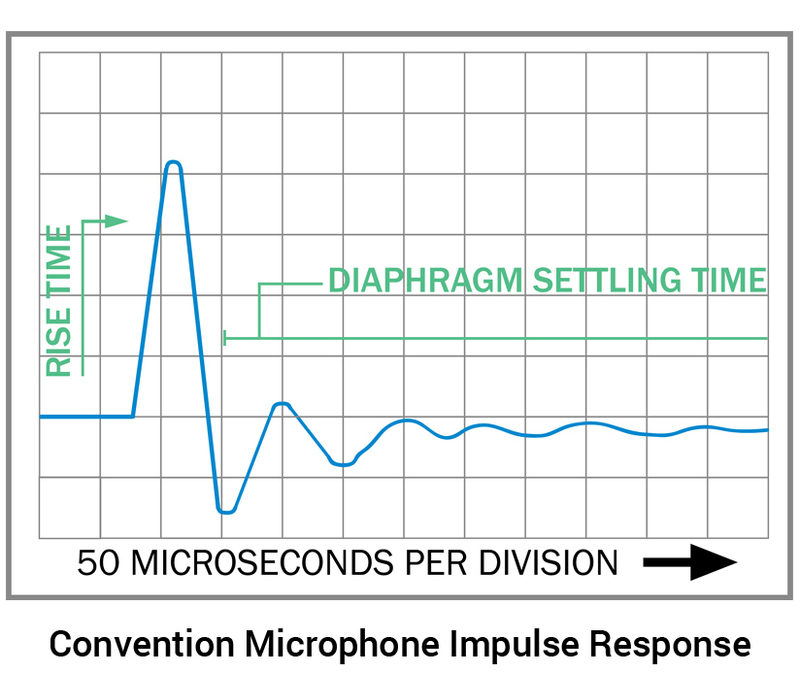 Impulse Response indicates the speed and accuracy of a microphone to reproduce fast transients (such as in percussion). A microphone with good impulse response will reproduce the attack very quickly and accurately (the leading edge of the waveform goes nearly straight up). A microphone with slower impulse response will not reproduce transients accurately (the leading edge of the waveform rises slower). In such instances an attack will sound will not be as crisp and may sound smeared. If a microphone has slow rise time, it will not capture the full impact of an attack. If a microphone has slow recovery time, it won’t accurately capture the downside of the waveform and may round off a following attack and smear it. If a microphone has a slow diaphragm settling time, it will color or mask low level sounds. will add unwanted distortions or artifacts to the sound which will color or change it, and usually not in a desirable way. 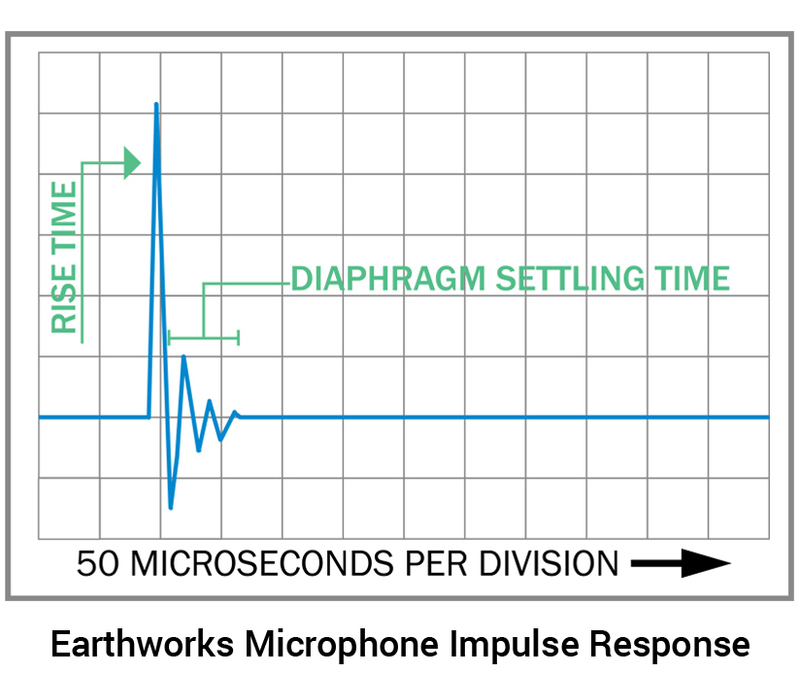 Unlike conventional microphones, Earthworks microphones exhibit fast rise time, fast recovery time, fast diaphragm settling time with no unwanted ringing or reflections.